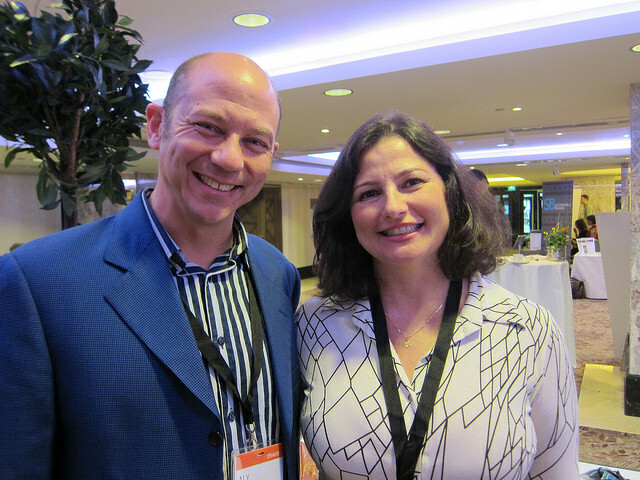 At Sustainable Brands London last week Maria and I had the chance to spend time with Aly Khalifa, the founder of Lyf Shoes, a company which has implemented an extremely disruptive digital manufacturing revolution in the footwear industry. I therefore wanted to share with you this remarkable case study to show just what can be achieved when entrepreneurial vision meets the desire for a sustainable future. 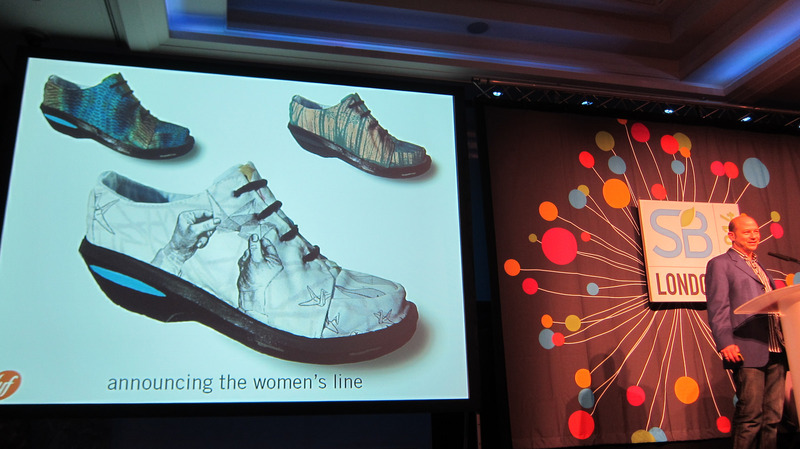 Aly came on to present Lyf Shoes immediately after our own plenary, and began with the stark openion that our current footwear industry is “ugly”. Aly started his career as a designer, and on visiting shoe factories he would get headaches immediately due to the toxic glues. 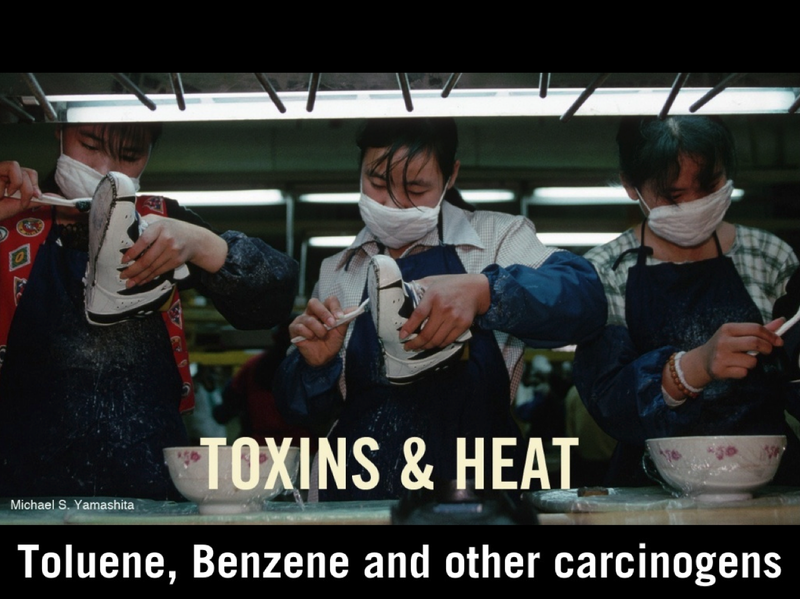 Young women use carcinogenic glues in between two or three heating sessions, which you can see in the slide below, and this is causing birth defects around the world. Other issues are labour conditions, CO2 emissions from shipping and the waste, both in the production process and the fact that 300 million shoes are thrown away at the end of their lives, resulting in landfill. The inspiration for Lyf came from Shinto architecture in Japan which is designed for disassembly, and uses no glue or nails etc. The primary design question Aly faced was how could shoes be manufactured with no glue whatsoever. At the heart of their patent is a “jigsaw puzzle” which fixes the parts together. 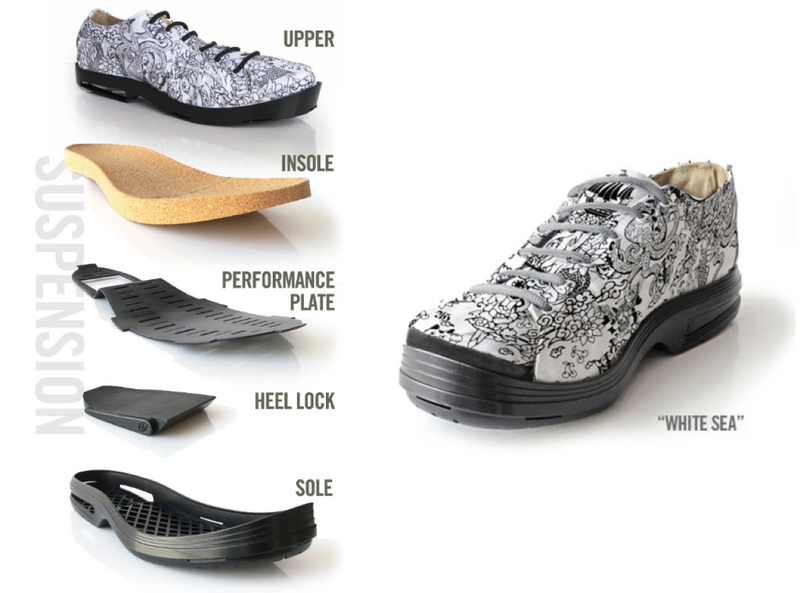 In addition, without glue each shoe can be put together in around 90 seconds. The materials are all natural, for example cork which normally gets thrown away in the wine industry as there had been no uses for them, and are therefore 100% recyclable. And when a customer has finished with the shoes, they can take them back to the shop and receive a 15% discount. 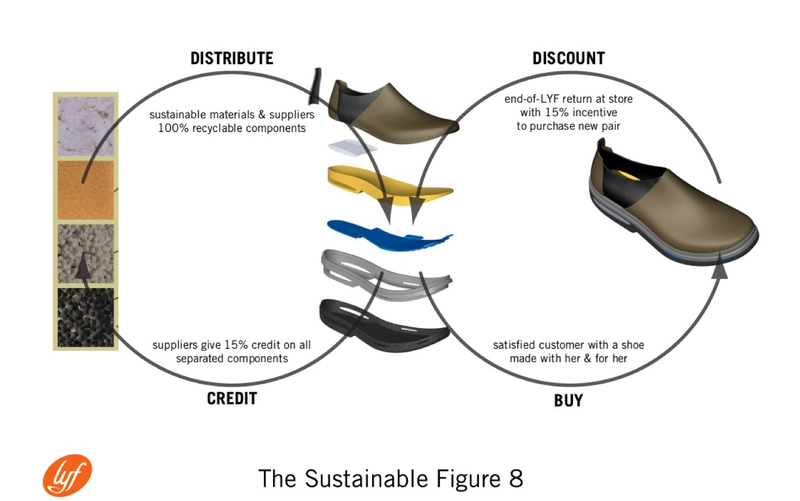 Lyf Shoes call their business model the “sustainable figure 8”. Aly suggested that a 15% discount is still not enough to motivate people to return their shoes. 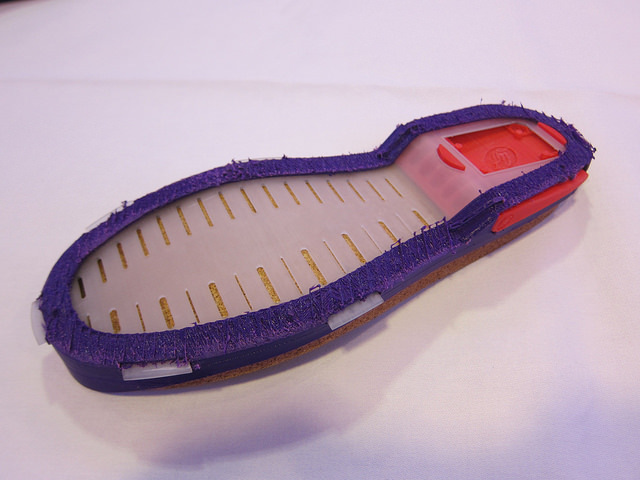 What they do is to place a monitor inside the heel which monitors the way in which people walk. So instead of just looking at how people walk when trying on shoes, Lyf are able to develop a shoe which is custom made for the way in which each individual walks. Another remarkable aspect of this particular process is that the manufacturing takes place in the retail shop. This is not just a process though, it is a retail experience in that in their small shop, customers can watch their shoes being made. This becomes possible by placing 3D printers in the shop windows. These printers cost around $2,ooo instead of previous machines costing a quarter of a million dollars. The next step in developing the business model was the inclusion of the creative community. 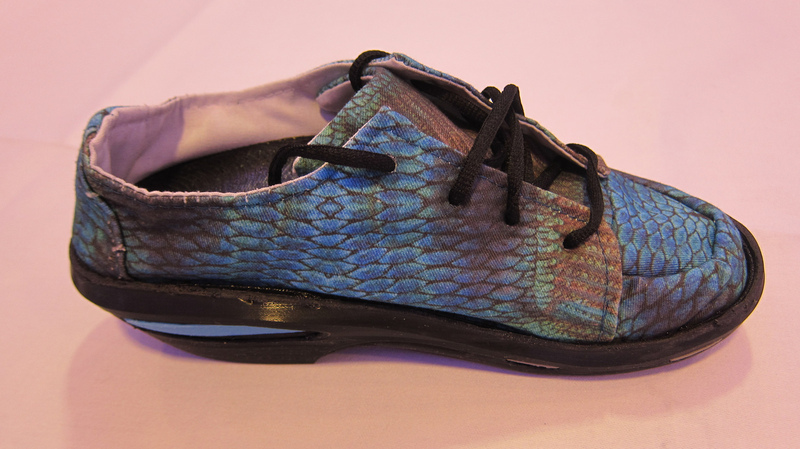 The patterns are digitally printed onto the shoes, giving designers free range to do whatever they wanted. The designers can create communities around their designs, and also of course generate income as well. Because this business model is so personalised, Lyf are currently researching sizes, and are able to offer people pairs of shoes which are different lengths or widths because most people’s feet are different, a proposition which is impossible in the traditional manufacturing and retail model. In terms of investment risk, the colour of the shoes ends up being around 80% of the risk, because you have to predict which patterns and colours will be successful. 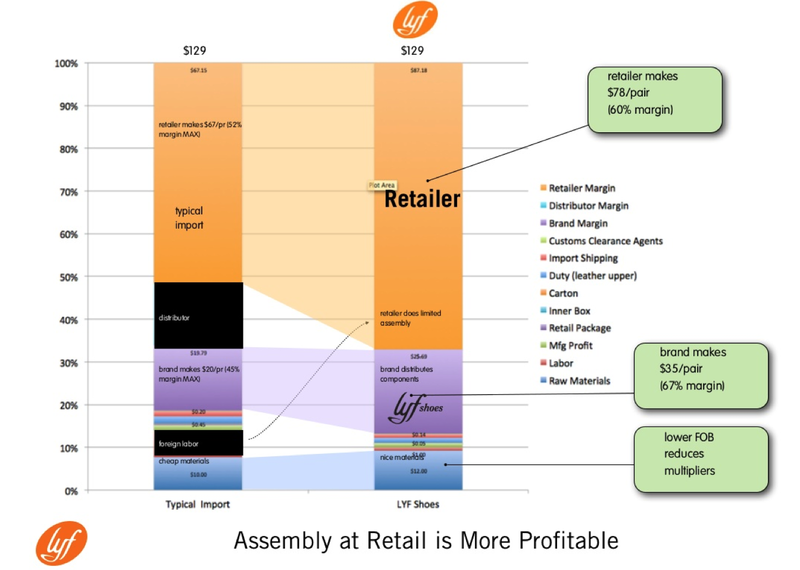 If not, the manufacturer has to heavily discount stock which failed to sell. The result is an extremely limited product range. 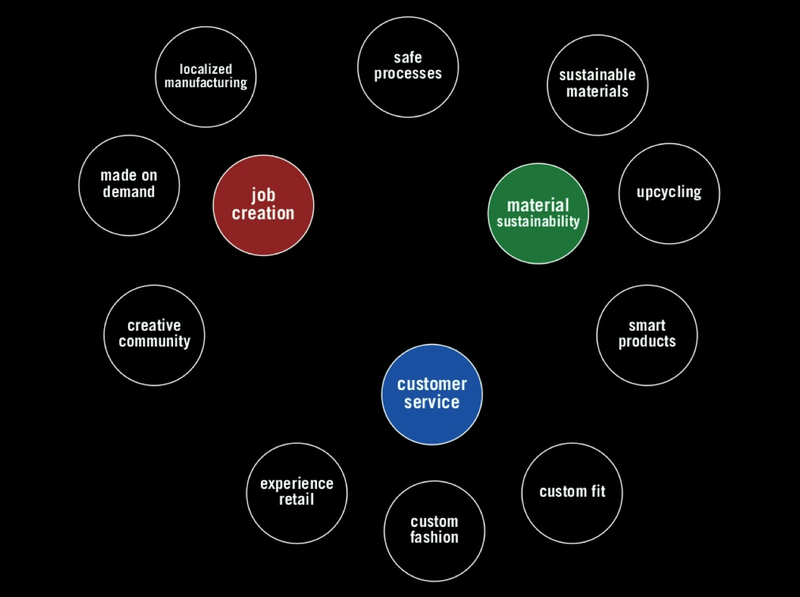 In the Lyf manufacturing process, the parts are kept separate, and so it is only when the parts are assembled that Lyf incur “fashion related risk”. But since the shoes are not glued, they can be disassembled, and therefore have 1/3 of the costs of traditional inventory. 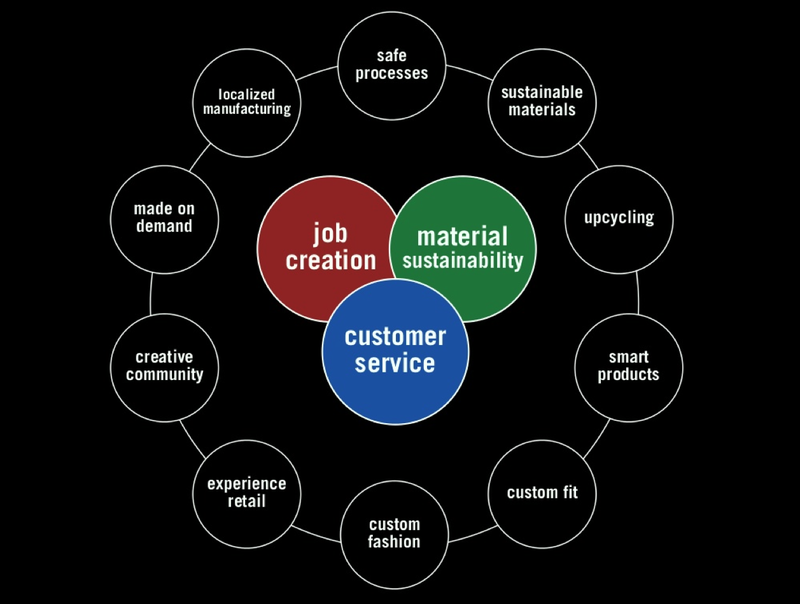 Given that sales assistants are involved in the manufacturing process, it is a profitable business model, and therefore sustainable in the business as well as ecological sense. As Aly remarked, this is actually a traditional business model in that it harks back to the days of having a cobbler in the street making shoes, noting that “cities now need industry to come back into them to make them vital again”. At the end of his talk, he discussed the ability to scale up this business model. The model is decentralised, and therefore with no central control, the model can be rolled out to any shops, especially given the low cost of the equipment. 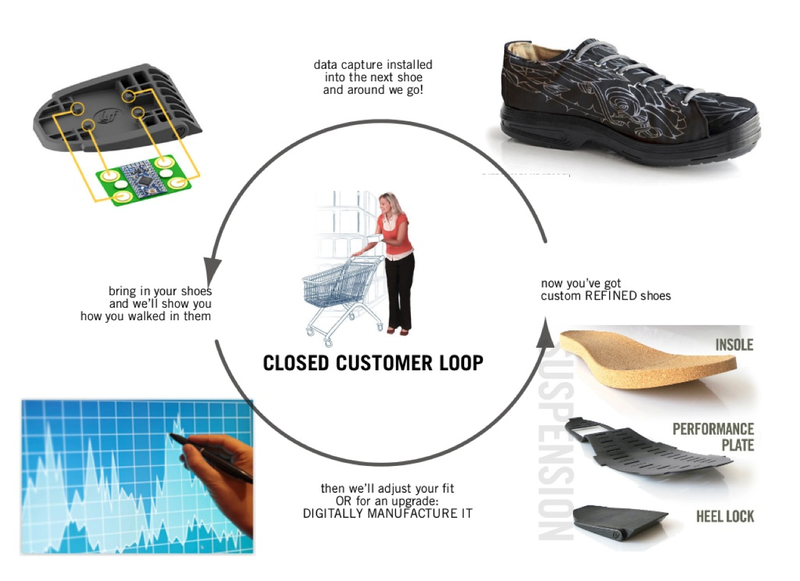 Aly noted that the future of footware lies in customisation, but the old model can not be adapted to this new reality, so manufacturers need to embrace the new tools to create the new products. For Aly, this is not the “death of capitalism” but a change in the way we think about capitalism, moving to a strong focus on the locval, and a move from thinking about large single entities, to a number of smaller entities. Aly finished by discussing the biological cell – “what cell just wants to keep growing and growing and growing?” That is called cancer, and so what we now need is self-multiplying, “just following our biology”. It’s funny as Aly had come on stage immediately after our own presentation where we discussed the “sandals of humility”. Aly opened his talk by saying that he was now going to discuss the “sneakers of creativity”, a point that a few bloggers picked up on. All the challenges need to be embraced. It is an unbelievable opportunity for you and your brand and the products you are working on, if you take them on as a single entity, and try and mush them all together, all your problems together and attack them as one. Lyf Shoes really do have a holonomic business model, being inspired by nature, focusing on both people as well as the planet, and finding authentic systemic solutions where all the parts truly belong together.What I really like about this business model is the way in which it is not just about the physical aspects, the flow of raw materials and parts, but the way in which the brand is an essential ingredient, and the way in which the brand is expressed through the lived experience of all people in this ecosystem – the customers, the sales team, the producers and out towards those whose lives will be enriched through the localisation and vitality of their neighbourhoods and towns and cities. Lyf Shoes is a fantastic case study, and both Maria and I are really grateful to Aly for sharing so much of his time with us and discussing inspirational futures.